The Craft Business Awards are the biggest and most well respected in the crafting industry. Now in their 14th year, they celebrate everyone from small start ups to the giants of papercraft, knitting, stitching, haberdashery, beading, jewellery and creative stationery, and now’s the time to vote from our shortlist to choose your winners! Last year’s awards received over 26,000 votes and reached over 115,000 people. The Craft Business Awards are split into 22 categories that cover everything from independent shops and products, right up to big brands and marketing campaigns. Each category aims to celebrate and recognise excellence within our vibrant sector. Don’t forget to vote for your favourites and be in with the chance of winning an awesome prize. Hurry, the closing date for voting is February 1, 2019. Everyone who votes in the Craft Business Awards will automatically be entered into a prize draw to win a £300 voucher for gift experience company BuyAGift.com. With a fantastic range of gifts, adventures and days out, it’s no wonder that BuyAGift.com is the UK’s leading gift experience provider. 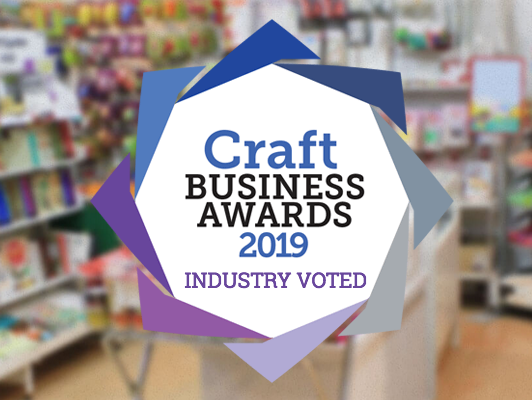 Visit the Craft Business Awards website to find out more and cast your vote.